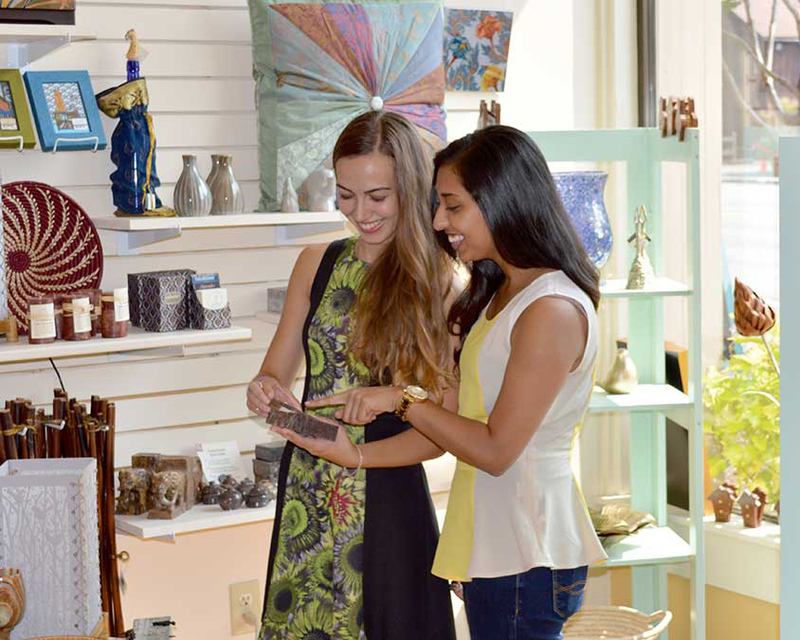 The allure of a Main Street shopping experience will draw you to Williamsville, located northeast of downtown Buffalo. 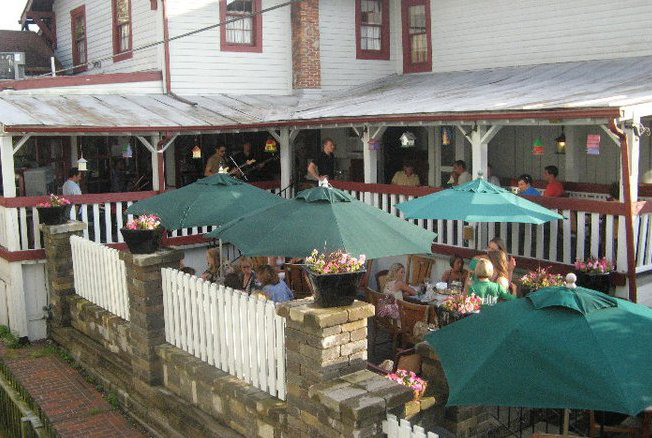 Practice the art of window shopping at one of their bustling boutiques, enjoy a sunny afternoon admiring Glen Falls and then grab a bite and a brew at any of their local restaurants. Looking for the allure of an old-fashioned Main Street? Look no further than the village of Williamsville, situated northeast of the city of Buffalo. Williamsville has come a long way from its historic roots, hosting a bevy of boutiques, cafes, gift shops and restaurants. They’ve been dressing local ladies for years now. Forget those typical souvenirs you pick up on vacation and spend your money on jazzing up your wardrobe back home. Pampering should be a part of any vacation, right? Right! Let the stresses of travel be massaged away as you spend the afternoon relaxing at this neighborhood gem. Their Signature Facial is a customer favorite! Dessert – Yes, by paying a visit to one of the sweetest shops on Main Street, DiCamillo Bakery. Opening nearly a century ago, DiCamillo’s is still cranking out tasty treats and delicious Italian goodies today. With pizzas and sandwiches on the menu as well, consider this a light lunch stop as you wind your way throughout Williamsville. I’m pretty sure when you think of waterfalls in the Buffalo Niagara region, Niagara Falls is at the top of that list. But water meanders its way throughout Western New York, including Glen Falls. Park the car, walk around and take in this scenic beauty. The 200 year history of the village of Williamsville is probably most evident inside the Eagle House restaurant. Dating back to 1827, the Eagle House served as an old stagecoach stop. Today it’s serving up leisurely lunches on their covered patio and cozy dinners next to their fireplace. Bon appetit! The Village of Williamsville is blessed with a bevy of treasures: the historic Williamsville Water Mill, pocket parks, Old Home Days, never-ending “family friendly” activities – the list goes on. It doesn’t seem real, right? I’m lucky enough to have grown up in this community and got to witness this fairytale way of life. Coming a long way from its historic roots, Williamsville now hosts a variety of boutiques, cafes, gift shops and restaurants. 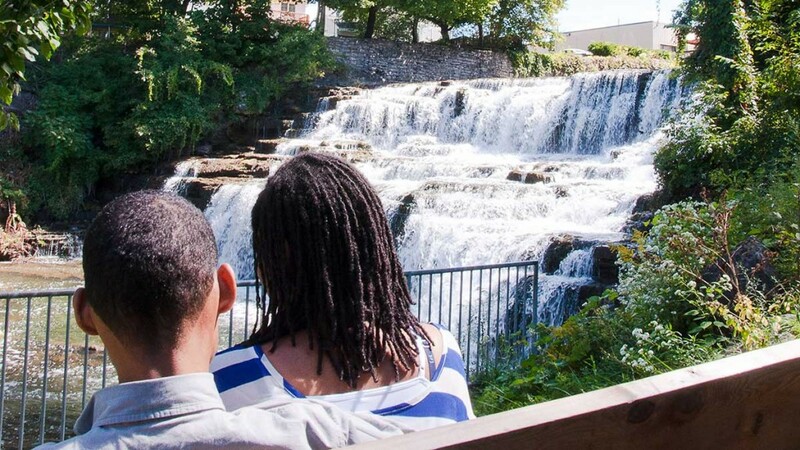 From indulging in a few classic or craft cocktails to shopping local, it’s all just steps away from the beautiful Glen Falls. Here are my tops picks for exploring the Village of Williamsville, aka Will’ville! Williamsville has a wonderful “shop local” vibe with everything from home décor shops to artisan boutiques. Grab your best friend and make your way to all the best retail Williamsville has to offer. Shop high-end consignment at Second Chic, décor dreams at Tesori, swimwear at Blum’s and local handmade gifts at Village ARTisans. For those of you who have an Alex and Ani obsession, fear not, they opened their first store in Buffalo on Main Street in the Village of Williamsville. Time to get your shopping fix on! Settled nearly 200 years ago, this quaint village has its roots in the War of 1812. When the invading Brits burned the City of Buffalo to the ground, the fleeing citizens turned to Williamsville for refuge. This rich history can be seen in the local watering hole The Eagle House, which still stands today as a popular restaurant. This was a “nightly stopover for passengers and wagons traveling from Buffalo to Batavia”, and legend has it that it was a part of the Underground Railroad, “providing safe haven for those moving from the U.S. to Canada before the Civil War began”. This history is evident through the colonial style homes and businesses that line the streets of the Village of Williamsville. The original 1811 Williamsville Water Mill built by Jonas Williams (for whom the village is named) proudly still stands as a village landmark for the community to enjoy. Is there anything better than spending a leisurely day browsing the Village? Williamsville comes to life during the summertime. Each week is packed with fun, family-friendly things to do. Hit the streets every Thursday evening from June through the beginning of September for a wide variety of free live music performed in front of bars and other businesses for the wildly popular Music on Main Street. Every Saturday, Island Park is alive with the farmers’ market, packed with all the good-for-you, fresh from the farm delights that will make you want to create gloriously delicious dishes. 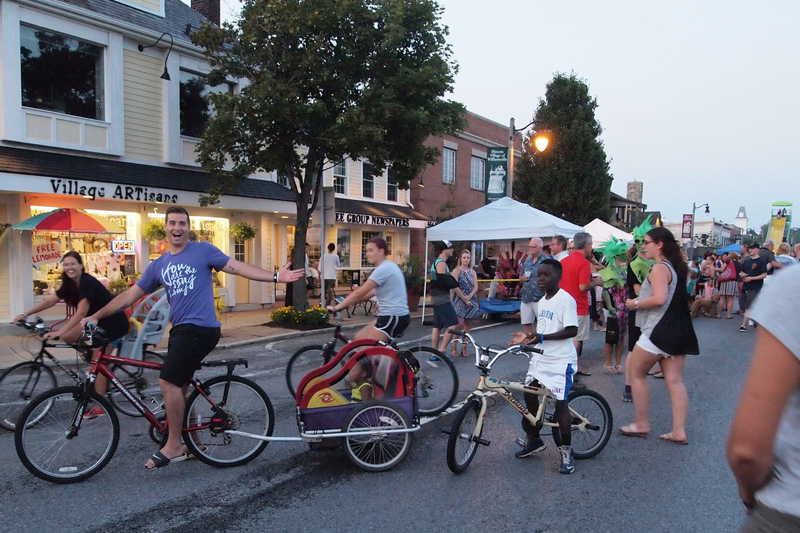 Will’ville knows how to throw a good party, so save the dates on these perennial fan favorite local events: Old Home Days, Taste of Williamsville, Glen Park Art Festival and Village Garden Walk. They even shut down the main drag for an evening of family fun at the annual Main Street Block Party. Bikes, strollers, and pedestrians reign supreme. Truly the heart of the Village, Glen Falls is a small waterfall located on Ellicott Creek. It’s the ultimate picnic perfect setting for a beautiful summer day. Stroll through Glen Park to view the falls up-close and enjoy the roaring sounds of this 30-foot cascade. Will’ville is packed with a variety of restaurants, fit for every palate. Whether you’re looking for hot and trendy or village classics, be ready for some serious eats. 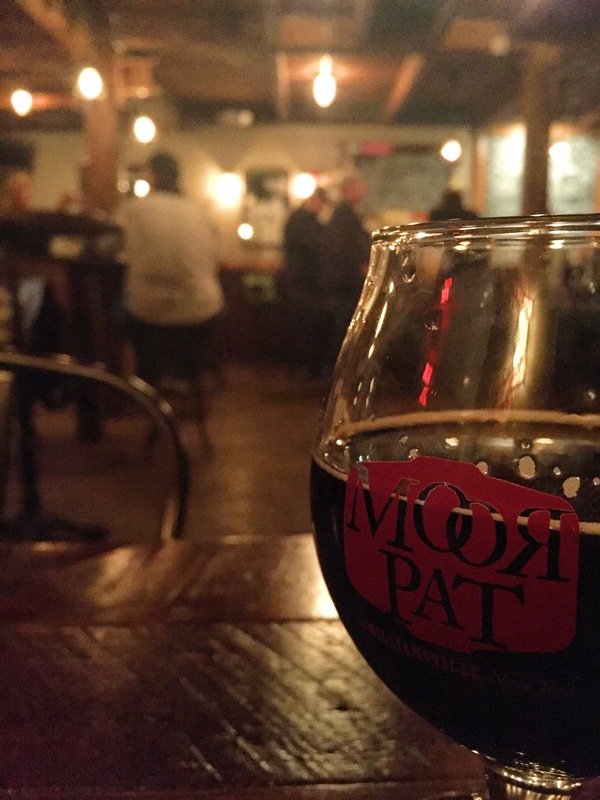 Check out Moor Pat and Share Kitchen & Bar Room for a tasty menu and good brews to match. For those classic Village spots, head to Glen Park Tavern and Creekview Restaurant, and for a sweet treat visit Williamsville’s own homemade ice cream and chocolate shop, Sweet Jenny’s. This tasty sweet shop is located inside the historic Water Mill, along with a cool comic book shop perfectly named 1811 Comics! Like many neighborhoods in Buffalo, the nearby village of Williamsville has seen a boom in exciting new restaurants and bars opening in the last five years. There are plenty of options and cuisines that will please even the most adventurous foodie. If you are looking to get out of the city for a bit, take the short drive up north and check out what Williamsville has to offer. Break N Eggs Creperie (5235 Main St). Since they opened in the fall of 2012, the line has literally been out the door for this popular breakfast spot. 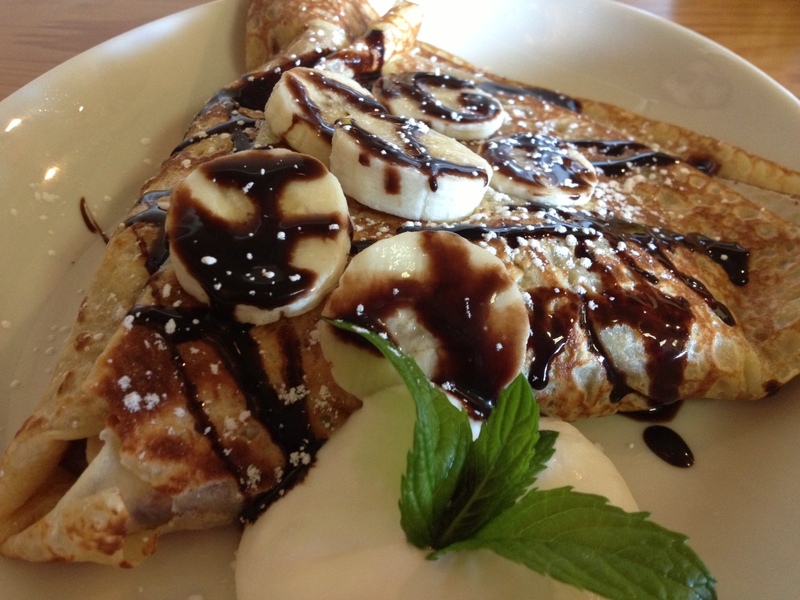 Bob and Annie Sweeney’s take on a classic French Canadian Creperie features a menu with a mixture of both sweet and savory crepes along with classic American breakfast items. They are only open until 3 p.m. and there is always a wait, so get there early, it’s well worth it. Creekview Restaurant (5629 Main St). When trying to think of a ‘classic’ Williamsville restaurant to add to this list, Creekview came to mind. The location, a re-purposed historic house that dates back to the 1800’s with a dining room that offers a great view of Ellicott Creek, is a favorite for many town residents. The kitchen offers classic dishes along with some Buffalo comforts while the bar offers an above average wine list and cocktails. D’Avolio Kitchen (5409 Main St). While most Western New Yorkers know D’Avolio as a popular brand of olive oil, Williamsville residents also know them as one of the best pizzerias in town. Their kitchen offers a variety of salads and sandwiches but what you really want is their pizza. Their “choose your own adventure” menu offers endless combinations of topping and has made D’Avolio one of our favorite cheap eats. The Moor Pat (78 E Spring St). The Moor Pat is yet another restaurant/craft beer bar within the Mike Shatzel empire (Thin Man Brewery, Liberty Hound, Cole’s, ABV). It might be small, but this restaurant/bar in the village of Williamsville has one of the best beer selections in WNY. The craft brews are paired with a menu of sausages, fries and recently added burgers. Head over now and enjoy the patio while you can. Wok & Roll (5467 Sheridan Dr). While Amherst might be the authentic Chinese food capital of WNY, Wok N Roll has something to offer to foodies as well. It might look like your average American-Chinese restaurant from the outside, but their menu offers some surprisingly authentic and well-done Cantonese dishes. Grab some dim sum, their share-able casserole dishes or even congee if you’re feeling extra adventurous. Honorable Mentions: Share Kitchen & Bar Room – just opened this year in the former Billy Bar location, offers shareable small plates and oysters; Sun Restaurant – opening their 3rd location very soon in the Village of Williamsville, known for their fantastic Burmese fare; finally, on Evans Street you can find a variety of different ethnic cuisines: Turkish & Moroccan (Fiero’s), Lebanese (The Pita Place), Thai & Vietnamese (Thai Orchid) and Korean (Woo Chon) in the Evanstown Plaza.